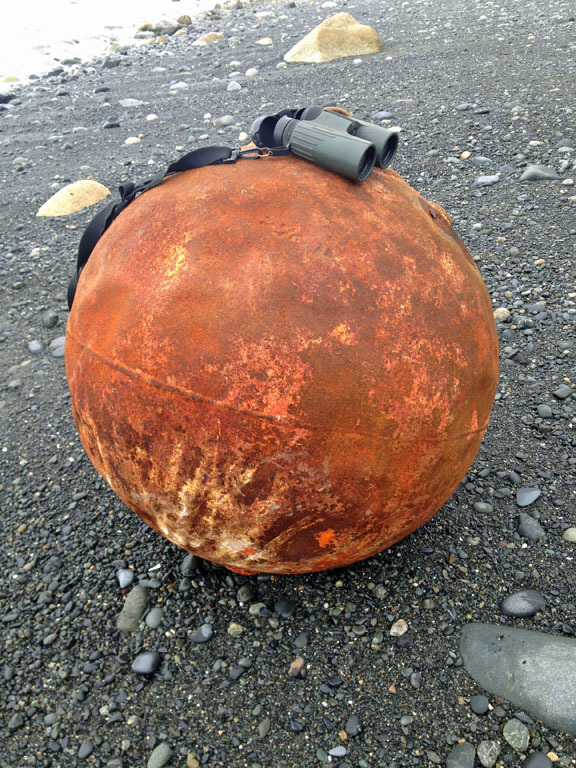 Gary encountered this metal buoy at Diamond Creek near Homer, Alaska during his first survey in August. We’re wondering where and how this kind of buoy would be used. Steel buoy found on the Kenai Peninsula, August 2017. Craig documented this crab trap float fragment in May. 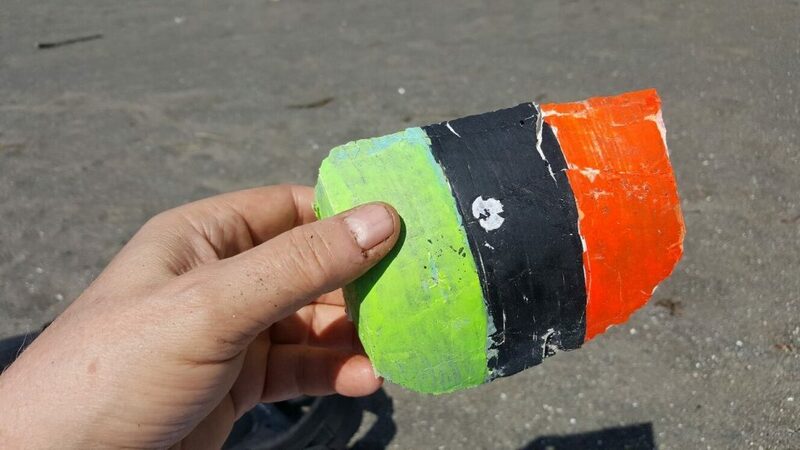 Noticing the abundance of variably colorful foam buoys encountered during marine debris surveys made us wonder—do the colors signify anything? Are they painted for easy recognition by the owners? Colorful float fragment found May 2017, Half Moon Bay Beach, WA. Ann and Michael encountered this large plastic drum during their August survey of Flat point on Lopez Island, WA. What would this drum have contained? Plastic drum found August 2017 on Lopez Island, WA. 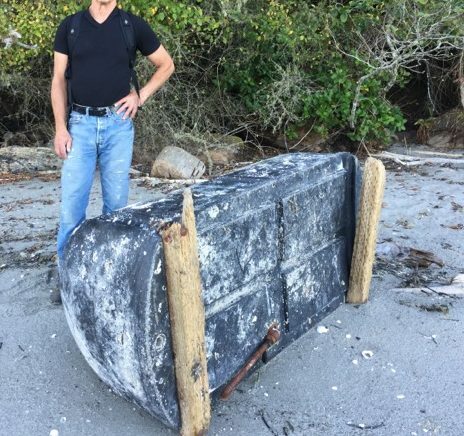 This entry was posted in Marine Debris and tagged Unsolved Mysteries on 20. September 2017 by coasst.